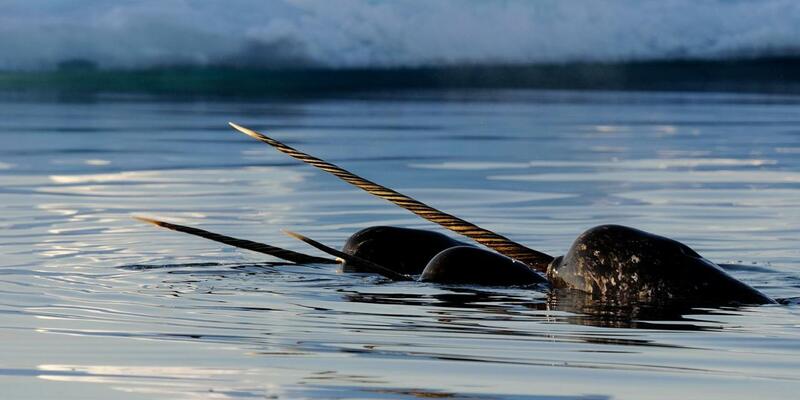 Narwhals, one of Earth’s most novel animals, may also be the most threatened by the thawing of the Arctic. The thick ice that covers the Arctic Ocean is shrinking more in the summers and rebounding less in the winters. As a result, more ships are setting course across the top of the world. That means some of the distinctive marine mammals that live in the Arctic, like walruses, polar bears and Beluga whales, are more likely to have close encounters with humans. 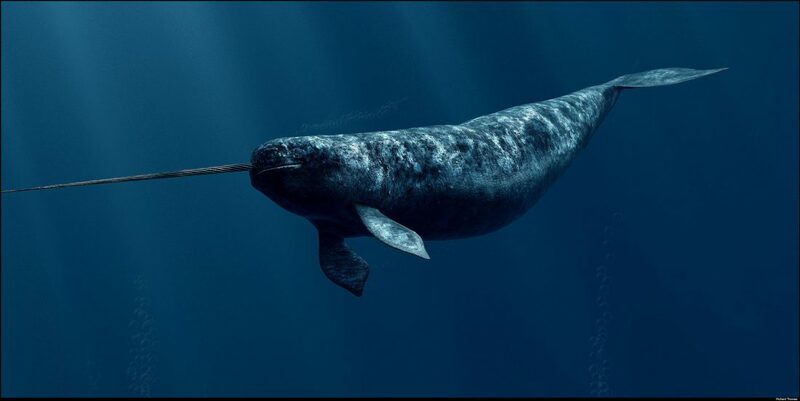 And no species may be most at risk than the narwhal—a small whale with a big tusk, resembling a kind of aquatic unicorn. “As passages open up, ships move through. They move though key areas that whales use every year, annually and predictably,” said Kristin Laidre, a marine biologist at the University of Washington. That could push them out of key areas, raise the odds of collisions and oil spills—and throw off their senses with noise. 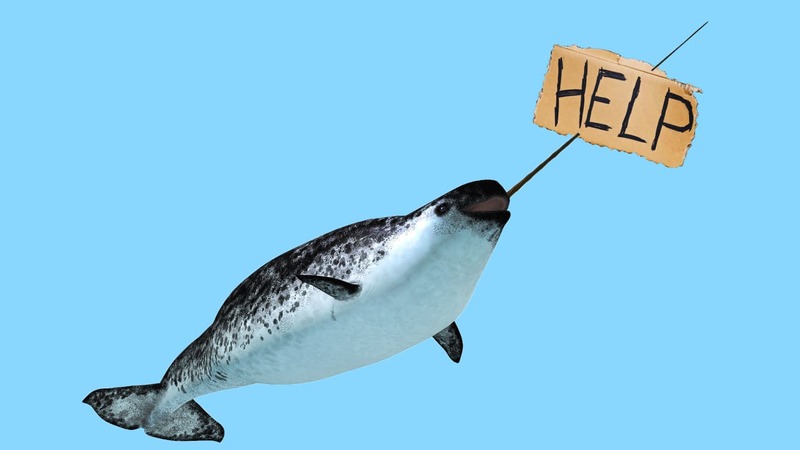 Narwhals can grow up to 18 feet (5.5 meters) long. The males’ distinctive tusk is actually a long, spiraling tooth packed with sensitive nerve endings. They feed on fish like halibut and cod in the frigid waters off Greenland and Canada. And unlike their cousins the belugas, which can be found all around the Arctic Circle, they tend to stick close to that patch of sea. That limited range and a pickier diet make them more vulnerable than other species, Laidre said.